The dollarised Latin American economy, which is keen to have talks on free trade agreement (FTA) with Qatar (pending finalisation of investment treaty), is pinning hopes on Qatar for its capital needs in a raft of key sectors such as oil and gas, mining and infrastructure; while Quito is eyeing investments in Doha’s real estate and logistics sectors. “We have already finished with double taxation avoidance treaty. Now the ministries of foreign affairs of both the countries are in discussions for a bilateral investment treaty (BIT) and hopefully we can also sign a trade agreement with Qatar. That is something in priority for us,” Pablo Campana, Minister of Foreign Trade and Investments, Ecuador, told Gulf Times in an exclusive interview. On FTA with Qatar, the minister said Ecuador will be more than happy to have negotiations on it but “before that, we need to finalise the BIT”. On the bilateral trade between Ecuador and Qatar, he said although it is not that big but certainly has promising potential, given that Hamad Port has become operational. Hamad Port could be hub for Ecuador’s products like banana, shrimps and other products to Qatar and the wider Middle Eastern region. 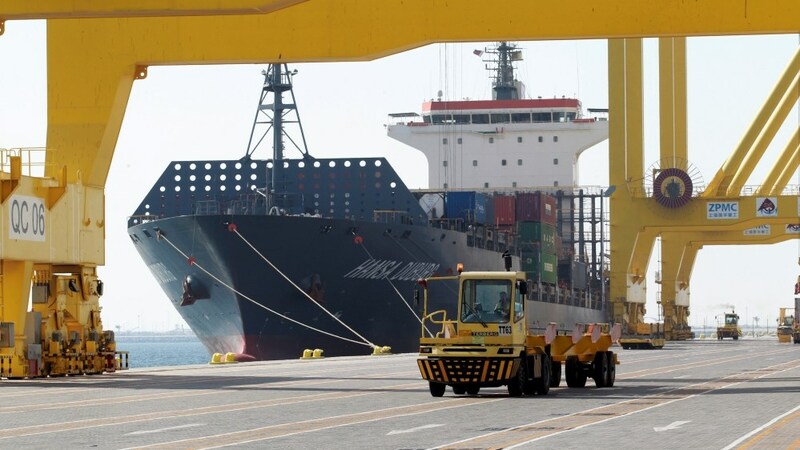 “Our wish is to increase the trade with Qatar as Hamad Port is a great initiative to connect with more than 2.4bn of people in the Middle East Asia and Africa. Hence, there is lot of potential to increase the trade,” the minister said. The Latin American country is eyeing investments in a big way in different sectors has made a presentation before the Qatar Investment Authority (QIA) regarding portfolio of assets in oil sector (green and brownfield), mining, real estate and infrastructure. “There are a few projects that they (Qatar) are considering evaluating,” he said, adding Ecuador also plans to enhance the export of roses to Qatar. Currently, it exports about 2mn roses to Qatar per week. In February 2018, Campana visited Qatar as head of an economic delegation, and met with Qatar Chamber vice-chairman Mohamed bin Ahmed bin Towar al-Kuwari in the presence of a number of Qatari businessmen. Following the meeting, al-Kuwari said the two countries signed a number of agreements aimed at facilitating trade, business and investment, and noted a joint interest to increase the volume of trade exchange between the two countries which reached QR30.6mn in 2017. Campana believes that Ecuador is the best choice for Qatar if Doha is looking for opportunities in non-mature markets. “Qatar’s private sector is interested in tourism, real estate, oil and gas (upstream, midstream and downstream), roads, mining,” he said, adding Ecuador is looking at long term relationships. Assuring that Ecuador has policy consistency when it came to foreign investments; the minister said the country has solid legal and arbitration framework, apart from tax incentives to investors.